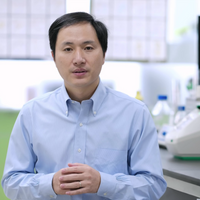 In a move that has sparked outrage from scientists around the globe, researcher He Jiankui claimed to have used the gene-editing tool CRISPR to modify the DNA of twin girls born earlier last month. 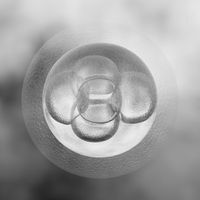 On top of the ethical concerns of tweaking human germline DNA, as well as the lack of transparency, oversight, and medical justifications for the procedure, a number of CRISPR experts have also raised concerns about the methodology of the experiment, which He presented at last week’s international summit on human genome editing. The motivation behind the experiment, as He explained in his YouTube video, was to give the babies a protective genetic tweak that would “save” them from a potential HIV infection. His aim was to use CRISPR-Cas9 to disable the CCR5 gene, which encodes a receptor that allows HIV to enter human cells. In humans, a naturally occurring variation of this gene—the so-called delta 32 mutation—confers some resistance against particular strains of HIV (but as has been pointed out, not all viral strains). The way in which He undertook the procedure, experts say, means there could be potential side effects, not to mention, the mutation may not even be effective in stopping HIV infection. After watching the presentation and reviewing He’s slides, University of Massachusetts geneticist Sean Ryder noted on Twitter that none of the mutations He generated in the twins actually match the well-studied delta 32 deletion. Instead of producing a 32-base-pair deletion, He created entirely different mutations in the babies’ DNA: One of the twins—whom He calls Lulu—has a 15-base-pair deletion, while Nana has a four-base-pair deletion. Although the Cas9 enzyme had cut the genome at the correct target site, the cells’ natural DNA repair mechanisms tend to repair the cuts in a random fashion. As a result, neither of the twins’ deletions matched the delta 32 mutation. 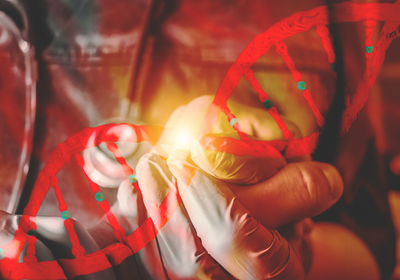 None of the reported mutations in the CRISPR-modified babies' genes match the well-studied delta 32 mutation known to confer resistance to infection by particular strains of HIV. This figure was created by University of Massachusetts geneticist Sean Ryder, guided by slides presented by He Jiankui at last week’s gene editing summit. 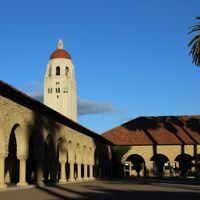 “If He’s goal was to absolutely recreate that 32-base-pair deletion, he’s designed the experiment terribly,” remarks Jennifer Phillips, a research associate at the University of Oregon’s Institute of Neuroscience. There are ways to make a specific deletion, although such techniques have a low probability of success, she adds. “I think he just hypothesized that any old indel in this genetic region would get the job done and went for it,” she added yesterday in a tweet. What concerns Phillips and Ryder about the new mutations is that there’s no way to know if they’re effective in preventing HIV infection, or even safe. In particular, Nana has two different mutations, both of which cause frame shift mutations that could result in proteins with novel functions, misfolded proteins, or toxic ones that trigger immune reactions. Another scientist, Fyodor Urnov, associate director of the Altius Institute for Biomedical Sciences, pointed out to Ryder on Twitter that the mutations could have also been tested in an ethical way in humans by infusing genetically modified T cells into the bloodstream of adult patients. There’s no evidence He did this either, and he did not respond immediately to a request for comment. Another concern is that He’s gene-editing process was incomplete. In an analysis of DNA collected from cord blood, umbilical cord, and placenta, He picked up different versions of the CCR5 gene in each of the twins. In Lulu, for instance, half of the sequences showed a 15-base-pair deletion, while the other half revealed unedited sequences. If He’s goal was to absolutely recreate that 32-base-pair deletion, he’s designed the experiment terribly. There are two possible explanations for this. One possibility is that CRISPR editing altered the gene on only one chromosome, and left the other one intact. “So you could get two different edits in the same cell,” Ryder explains, meaning Lulu would be “heteroallelic” for those variants. Another alternative is that some cells in her body carry the mutation, while others are completely unaltered—a situation known as mosaicism. Depending on which is the case, and whether the mutant gene is actually effective at preventing HIV infection, this could have specific consequences for Lulu. Even if the allele is as effective as the delta 32 mutation, she still might not be protected because all cells will still have one intact copy of the receptor. If she is mosaic, her resistance to infection depends on whether the specific cells HIV enters have a resistant copy or not. If she has intact copies of the gene in those cells, for instance, she won’t be protected. 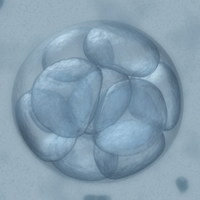 To proceed with implantation of the embryo without any certainty that the mutation would have the intended effect is unconscionable, says Ryder. 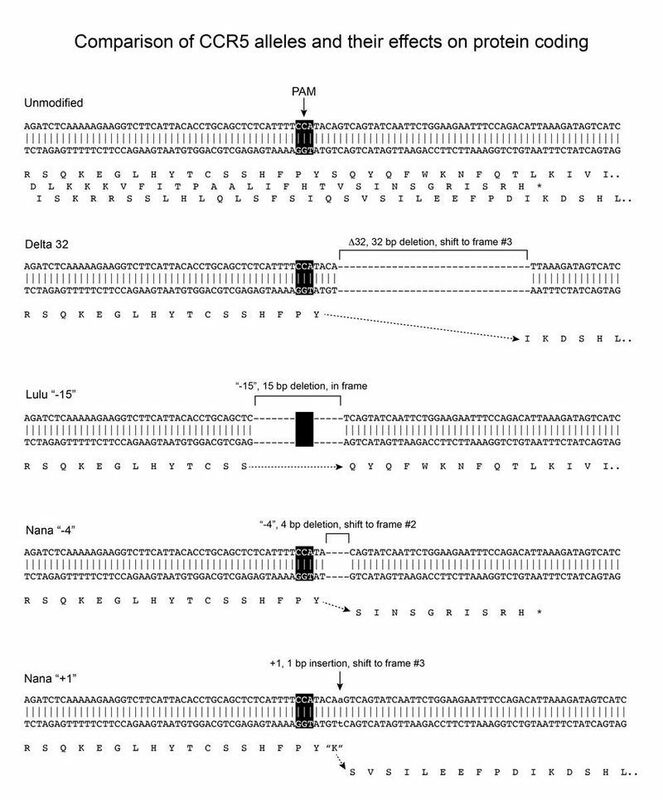 As for the other twin, the results suggest that Nana carries two different mutations, either one on each allele or alternatively present in cells in a mosaic fashion: one four-base-pair deletion, and a single-base-pair insertion. If one allele is protective and the other isn’t, then her situation is the same as Lulu’s. It is unknown what might have happened in the germ cells of the girls, Phillips points out, which stem from a specific lineage of cells in the early blastocyst. “If those cells have different changes than the rest of the somatic cells of the body, then maybe you don’t know the answer until you see the oocytes,” she says. This might have unknown consequences for future generations, she notes. The sequencing data He has presented so far did not come from germ cells. Burgio says there’s also a possibility that the Cas9 enzyme could theoretically have made cuts elsewhere in the genome, resulting in unintended off-target effects. It can be tricky to detect such accidents, and he says he isn’t convinced that He screened thoroughly for them. But he’s most concerned about the on-target effects of CRISPR. For example, the Cas9 enzyme has a tendency to stay active long after it’s made its first cut, chopping away at the target site after successive rounds of mitosis, ultimately causing large deletions. “From recent work in mice and human embryos, we’ve seen a lot of these on-target effects with quite some drastic effects on [chromosomes],” Burgio explains. Even now, it’s still not clear whether He’s claims are true. After all, he announced the procedure via YouTube, rather than in a peer-reviewed journal. And under Chinese law, He isn’t allowed to publish the babies’ or their parents’ gene sequences. But given the sloppy, unprofessional nature in which He designed his experiment, Burgio thinks it’s not likely to be a lie. “It’s too bad to be not true,” he says. Correction (December 5): A previous version of this article erroneously stated that the deletions of both girls’ genes cause frame shift mutations, whereas it is only Nana’s mutations—one insertion and one deletion—that would have this effect, based on the data He presented. The Scientist regrets the error.